TWO middle-aged men have been arrested after allegedly tricking 16-year-old girls into working in a brothel bar near Toledo. The two girls – hospitality students in Madrid – were allegedly offered jobs as kitchen assistants in a hotel but ended up working in a hostess club in nearby Mocejon, a town with under 5,000 inhabitants. Guardia Civil agents have since released them. The men, 44 and 52, have been detained on suspicion of human trafficking. 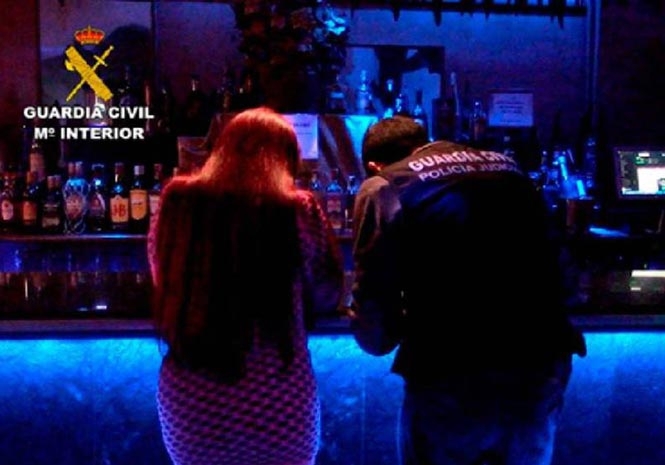 In December, police received a report that two children were being forced to work in the club and that they may have had to prostitute themselves. Guardia Civil officers located the pair and were reportedly told that they were there against the will and threatened. The girls added that they were approached in November with the job offer from a man outside their school, who said he would pick them up and take them home. The minors said that they refused and asked to be taken back home. The same man then allegedly showed false police identification and made threats against the children and their families. Following the first incident, the girls were reportedly forced into several other visits to the venue, but managed to avoid unwanted encounters with clients. The girls’ families were unaware of their situation.